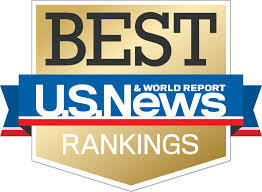 US News & World Report has out this week its rankings of the states. The Best States, it says, based on several categories. What categories? Health care, education, crime, infrastructure, opportunity, economy, and government. How those are measured, you have to dip into the methodology, but for the moment let's accept the measures as reasonable. Here's what's weird unless you read the fine print. Not every category carried the same impact. Health care and education were weighted most heavily. Then came the opportunity states offer their citizens, their crime & corrections and infrastructure. State economies followed closely in weighting, followed by measures of government administration. And now, some partisan politics. Four of the five overall top-ranked states went for Clinton. "Yeah," you say, but what about all those categories? How'd Trump do there, or Clinton?" The answer, Clinton dominates nearly every category in the top states, the exception being the one on the health of state government, where Trump captured four of the top five states. That's interesting in and of itself, suggesting Trump did best in states that are well run even if they have other, clearly significant problems. Okay, fascinating in a certain kind of way, but an argument can be made that Trump's upset victory may have come from the states at the bottom of the list. This is indeed the case. On health care, for example Trump won the 13th worst states in that category (Arkansas being #50). Trump won three of the five worst on education, three of the worst five in crime, four of the worst five in infrastructure, four of the worst five on opportunity, four of the worst five on economy, but only two of the last five in lousy state government. In overall rank, Trump did well on the state's scoring the lowest. Four of the worst five went for Trump, and nine of the worst 10. The states that appeared to have made all the difference on Election Day in going for trump, none of them make the Top 10 and most are far down in the pack, like Pennsylvania (30th), Michgan (33rd), Ohio (35th), North Carolina (25th) and Wisconsin (16th). So what's it all mean? Clinton did well in states doing well, at least comparatively speaking. The average overall rank for states voting for Clinton was 16.8, while the average overall ranking for states voting for Trump was 31.3. That alone says a great deal. Trump did well in, to put it bluntly, crappier states, or at least states in which people had fewer opportunities and more struggles. On a whim, I ran a logistic regression analysis on the data. In other words, I wondered which of the various "best state" factors mattered most in predicting that state going for Trump or Clinton. If you're a statistical nerd and want more info, email me, otherwise I'm going to gloss over the PhDweeb stuff and get to the results. Keep in mind the rankings on the various categories are statistically controlling for one another, kind of a pit fight to see which ones truly matter. So which do? No surprise, Health Care wins (Wald = 7.4, p<.01), and the Health of Government also achieves statistical significance (Wald = 4.0, p<.05). The lower the rank in health care, the more likely a state was to vote for Trump. The better the government's healthy ranking, the more likely that state went for Trump. None of the other factors matter when put in competition with one another. Using these macro data, states went for Trump if the residents had lousy health opportunities but their government was reasonably well ran. If I were more of a political scientist, I could dig more, but for the moment we'll have to settle for an overlong blog post. So I spend a little time playing with these data, in which people were asked to name their favorite playing card. 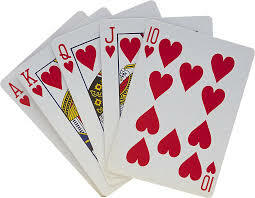 You know, cards, as in (the most popular, it turns out) Ace of Spades. What does this have to do with what people know? About the media, or politics? Not a damn thing. It's my blog, dammit. I can write about what I want to write about, so strap in and go for a playing card ride because there's some interesting stuff here. So people trend toward the aces and face cards. No surprise. In fact you have to go all the way to #6 to see a different card, the 3 of Diamonds, which for life of me I can't figure out why anyone would name, but 2.6 percent of respondents chose it first. It's fascinating (okay, to me) that after the Ace of Spades people are all over the Hearts cards. I promised you something interesting, so here it is. There's a gender difference. Yes, the Ace of Spades is the one most named by both male and female respondents, but the #2 slot gets interesting. 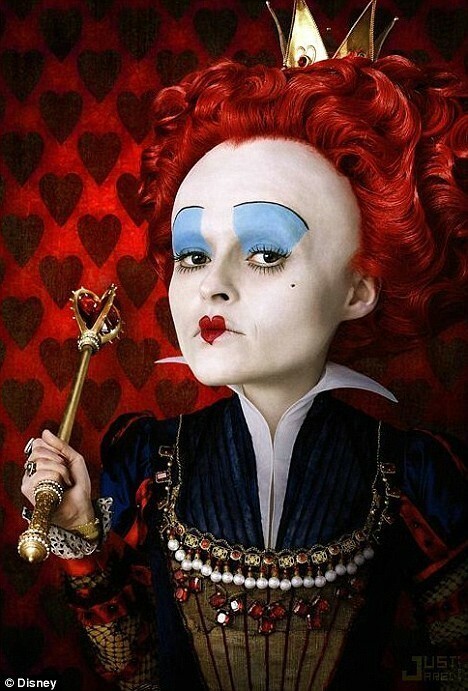 For men, 15.0 percent of the time it was the Queen of Hearts. For women, the #2 slot is more spread out but winning by a hair is the King of Hearts (6.6 percent), followed by a tie between the Queen of Hearts and Age of Hearts (6.6 percent). What can we make of this? Men gravitate to the Queen of Hearts, women to the King of Hearts. I'm sure with some effort I can deliver a Freudian interpretation of the results, but I'll let you figure it out. Men do name more power cards in their Top 10 while women slip the 3 of Diamonds into their fifth highest position. Fascinating. What's up with that card? Anyone? By the way, the least named cards were a tie between 9 of Spades and 9 of Clubs (only a couple of people for each, or 1.8 percent). Just a brief bitching about a line I just read in a published study, about a difference being "nominally statistically significant." Sorry, a difference or relationship is either significant or it's not. There's is no in-between. That's like saying: "I'm nominally pregnant." You are, or aren't. Even better, the difference they're promoting? .40 compared to .42. Really? Sheesh. Not only is it not statistically significant, more importantly it's not substantively different. Just pointing to my brief piece on Medium about Democrats and whether they're now believers in conspiracy theories. Read it. Short, brilliant, and did I mention short? And brief? 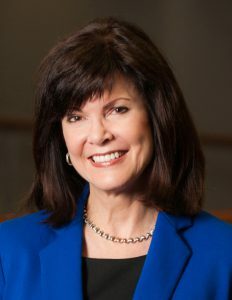 It pains me to agree with my former editor and now dean of that large j-school to the south of us from which I have my advanced degrees, but she's right in her recent post about the importance of journalism and the necessity of its name remaining in our colleges of mass and various communications. So what should a college of journalism do? A handful of our alumni have suggested that we take journalism out of our name and focus on a more contemporary approach to news and information. I see it another way: I say we double down on fact-finding, truth-seeking and audience engagement. There has never been a more important time to affirm our allegiance to the standards and practices that are the bedrock of an informed citizenry. Our ethical codes are the right ones. Let’s reinforce them, not abandon them. And it will. As long as I'm here, at least. Lemme help you out folks. Henry W. Grady, he wasn't a PR guy. So here's to Diane McFarlin. She got it right, both for UF and for us. All of us. It'll always be the j-school, dammit. This article demonstrates that the effect of religion on public opinion is partially contingent on a previously overlooked variable: whether religious identifiers have accurate personal understanding of church teaching on political issues. This is an interesting and important argument, so set aside the author's love love of first person throughout the piece (I actually find that refreshing and leads to tighter writing, but some journal editors hate it). So how does one measure religious-political sophistication? Largely by scoring respondents as agreeing with church orthodoxy, though it gets more complicated than that. As is often the case in political science research, you get bombarded by statistical models and it can appear the journal pays the author by the number of tables published. Simply put, correctly knowing the position of one's religious leaders influence's one opinion on the issue in the direction of the religion. I'm oversimplifying, but I'm rushed. Read it yourself for all the nuance and, especially, at the end the question of whether this is merely projection or a real effect on public opinion. Just pointing to my post on Medium today about my Lenvimaversary (one year on Lenvima) and my visits to MD Anderson. Read it. Now. Just a quick post to point to this NYTimes story and poll that shows just how important a label is in what is the same thing, just called by different words.